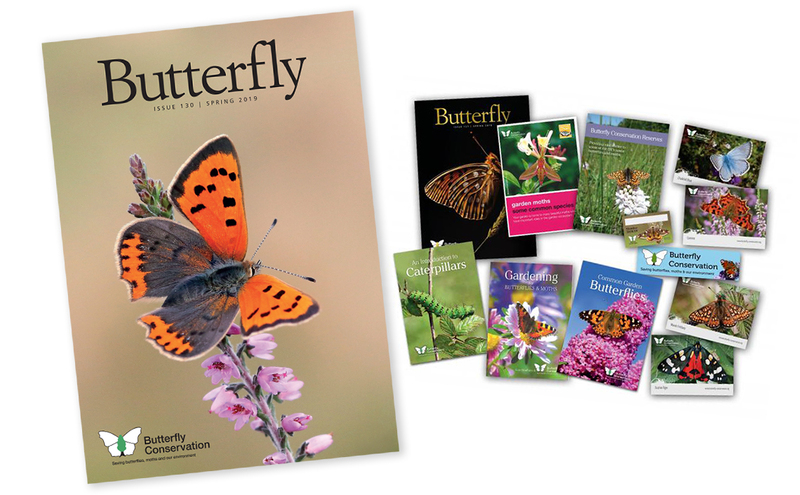 As a member of Butterfly Conservation you will contribute towards the survival of our butterflies and moths and help protect the vital habitats they need to survive. Butterflies and moths are a crucial part of our heritage. They are valuable indicators of the health of the environment and together we can protect them. Membership of your local / nominated Branch. If you would like to become a member of Butterfly Conservation and help support the work of the Warwickshire Branch of Butterfly Conservation, please visit the Butterfly Conservation website. Don't forget to specify 'Warwickshire' as your branch of choice! As an affiliated Warwickshire Branch member, you will also receive the Warwickshire branch newsletters, our annual butterfly and moth report, details of our guided walks/field trips and events in and beyond Warwickshire and occasional e-newsletter by email. Alternatively, please call Butterfly Conservation's head office between 9.00am and 4.30pm, Monday to Friday on 0870 7744309 and ask to join the Warwickshire Branch of Butterfly Conservation.